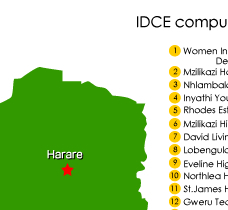 Our belief in the importance of computer literacy, and the Zimbabwe Embassy's strong belief in our project eventually opened the door to IDCE/Zimbabwe. 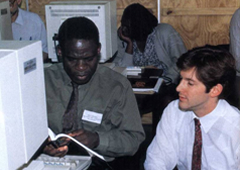 In the summer of 1993, we donated 200 sets of computers to the Ministry of Higher Education, and shipped them to Zimbabwe. 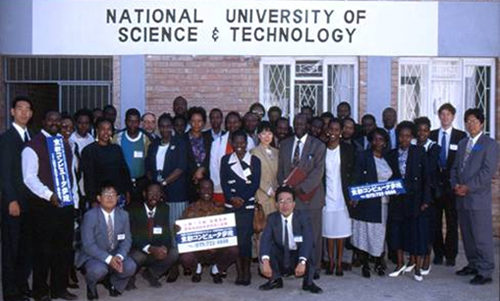 In 1994, with 3 KCG instructors and 3 MIT graduate students as volunteers, we offerred our first seminar at NUST in Zimbabwe. 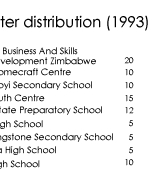 Afterwards, 200 computers were distributed to 23 universities and high schools all over Zimbabwe. 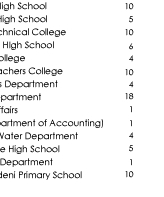 The Vice-Chancellor of NUST, Prof. 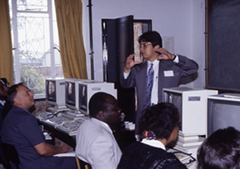 P.M. Makhurane wrote, "My office is bombarded every week with requests for these computers from Headmasters and other leaders and dignitaries from various institutions. I have also received many letters from the receipients thanking me and expressing great appreciations for these computers." The result of the program was excellent enough that it changed the minds of the key officials who originally opposed to the program. 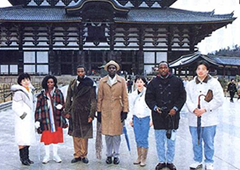 In November 1994, selected participants of the NUST seminar were invited to Japan for a more advanced seminar at KCG. 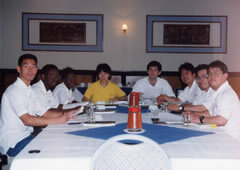 Prof. P. M. Makhurane also visited KCG at that time. 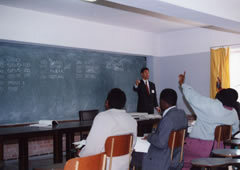 August Held the first seminar in Bulawayo for teachers of the receiving schools. 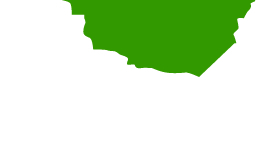 Five KCG teachers and three volunteers (one Cal tech graduate- student, one MIT graduate- student, and one student from Tufts University) fly to Bulawayo. 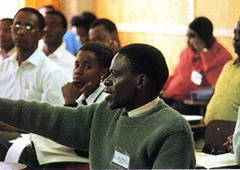 The donated computers were settled throughout Zimbabwe and computer education was started at 23 schools.